At Alfa Glass and Mirror, our professional staff can carefully replace your Miami commercial windows to ensure your safety and improve the look of your business. Providing Commercial Window Replacement services to Miami and Fort Lauderdale since 1995, Nobody knows storefront window replacement like Alfa Glass and Mirror. Our Commercial Window Replacement services are ideal for retail stores, restaurants, shops, offices and other commercial buildings. Whether it is a home or business, a small job or large, Alfa Glass and Mirror will replace your window with knowledgeable, professional efficiency & skill. This commitment means we work harder and smarter than our competition. We are at the forefront of the commercial window replacement industry and offer our customers the latest services, technology and information available. Low-e coatings block solar heat gain while transmitting most visible light. Windows treated with low-e coatings help in both the winter and summer, with little heat leakage coming inside on a hot summer day, or leaking outside in the winter. 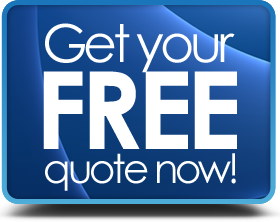 Call today to receive a Free window replacement estimate and start saving!